GAULTIER (Gautier, Gauthier, or Gaulthier, but he signed Gaultier), JEAN-FRANÇOIS, physician, naturalist; b. 6 Oct. 1708 at La Croix-Avranchin (dept. 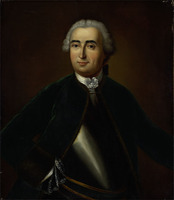 of Manche, France), son of René Gaultier and Françoise Colin; d. 10 July 1756 in Quebec. He has sometimes been confused with a contemporary of the same name who lived in Acadia and with a French botanist of the second half of the 18th century. Little is known about Jean-François Gaultier’s childhood and education. Canon Pierre Hazeur* de L’Orme met him in Paris in 1741, and from a letter of 11 May 1741 we know that Gaultier had already studied medicine and had been practising in Paris for six or seven years. 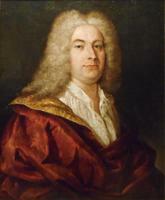 After Michel Sarrazin*’s death in 1734 the office of king’s physician was vacant for seven years; it was sought by Timothy Sullivan and by Hubert Joseph de La Croix. But one of Sarrazin’s sons, Joseph-Michel, was a medical student in Paris, and the position was kept open in the expectation of his receiving his degree. He died, however, in 1739. 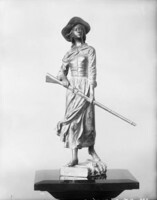 Encouraged by Canon Hazeur and with a recommendation from Henri-Louis Duhamel Du Monceau (1700–82), Gaultier asked for and obtained the position in 1741. He would have Sarrazin’s books at his disposal, wrote Hazeur. But the inventory of Mme Sarrazin’s property at her death in 1743 shows that she still owned 175 volumes of scientific works. Gaultier did not go to Canada immediately upon his appointment; he continued studying the treatment of illnesses in some Parisian hospitals for another year. Not until April 1742 did Maurepas, the minister of Marine, advise Governor Charles de Beauharnois that Gaultier would sail on the Rubis. The salary for the position amounted to 800 livres per year, at a time when a workman’s wages scarcely exceeded one franc a day (the livre being equivalent to the franc). This amount was increased by special gratuities in 1752 and 1753 and by a fur-trading concession in 1749. In addition to his official position Gaultier was the regular physician of the Hôtel-Dieu and the seminary of Quebec. 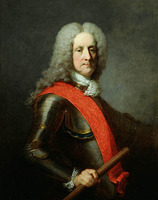 Upon his arrival in Quebec Gaultier enrolled in the law courses being given by the attorney general, Louis-Guillaume Verrier, and followed them assiduously, probably with a view to a request he was to make in 1743 to be appointed to the Conseil Supérieur. After a favourable recommendation by Attorney General Verrier and Governor Beauharnois, he was appointed to the council in March 1744 and joined it in October of that year. He served principally as assessor in several cases. In May 1745 he was elected a corresponding member of the Académie Royale des Sciences. The members of the academy were supposed to live in Paris, but could appoint correspondents outside Paris or abroad. Gaultier was Duhamel Du Monceau’s correspondent. The latter was interested in such subjects as meteorology, arboriculture, and agriculture. Gaultier had similar interests, but also contributed to the works of two other members of the academy: Jean-Étienne Guettard (1715–86) and René-Antoine Ferchault de Réaumur (1683–1757). 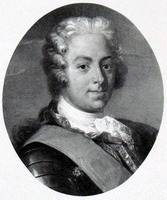 In 1747 Roland-Michel Barrin de La Galissonière was appointed temporary governor. He quickly evolved an over-all policy for the colony, not neglecting the natural sciences, in which he was keenly interested. At his request Gaultier prepared a memoir which was distributed to all the commandants of forts, thus creating a network of bases for cataloguing and collecting specimens. The specimens were sent to Quebec, where Gaultier had the task of keeping in touch with and of sending the specimens on to Paris. Library facilities were improved, the garden of the intendant’s palace was at the botanist’s disposal, and the government financed scientific voyages and other cataloguing expenses. 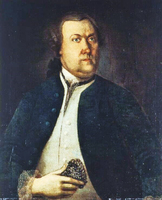 When Pehr Kalm* came to Quebec in 1749 on a botanical exploring voyage, he was received as an official guest; all his expenses were paid by the administration, and Gaultier, the foremost naturalist in Canada, served as his guide, organizing botanical expeditions in the region about Quebec and as far as Les Éboulements and visits to the main institutions in the region. Under Gaultier’s guidance, Kalm’s two months of botanizing excursions in Canada were so fruitful that he compiled from them a “Flora Canadensis,” which unfortunately remained in manuscript form and has disappeared today, but which Carolus Linnaeus (1707–78) consulted. In recognition of Gaultier’s services Kalm dedicated to him the genus Gaultheria, which is in fact our wintergreen. This genus comprises about 150 species distributed about Asia, the Pacific, and the Americas. Some 25 or 30 species are used in horticulture as background greenery or plant carpeting. Gaultheria Shallon, known in the vernacular as salal, is one of the cut plants preferred for greenery. Gaultheria procumbens is one of the three sources of essence and oil of wintergreen, used in pharmacy and confectionery. Later the name of Gaultier gave birth to a small chemical and botanical vocabulary. We have noted: Gaultnettya, Gaulteria, gaultherase, Gaultheria, Gaultheriae, Gaultheriaöl, Gaulthérie, gaultheriflora, gaultherifolia, gaultherilin, gaultherin, gaultherioideae, gaultheriosidis, gaultheroid, gaultheroline, Gaulthettya, Gaulthiera, Gaulthieria, Gauthiera, Gautiera, Golterya, Gualteria, Gualtieria, Γayльтeрня. The personal relations between François Bigot* and Gaultier are not explained clearly in documents now extant, but it is known that Gaultier owed him several favours. Gaultier asked for and received the fur-trading and fishing licence for the post at Chateau Bay, on the Labrador coast, in consideration of his services and the smallness of his official salary. He operated this post in partnership with his brothers-in-law. The deed granting the post was delivered to him before the minister’s approval had been received. He paid only two beaver pelts and four livres a year for the post, the operation of which required a capital of 60,000 livres. The government of the colony had only five posts of this sort to grant to private interests whom it wanted to favour. Bigot also requested that Gaultier receive a special gratuity of 500 livres for 1752. It was granted, and repeated in 1753. From that time on Gaultier wrote a series of adulatory letters in Bigot’s favour, the extravagant style of which cannot help but be surprising, coming from a man of science who lived so close to the intendant. Bigot probably needed such letters to counter the suspicions of profiteering that already hung over him, but why did Gaultier agree to write them? At Bigot’s trial three of these letters were filed for the defence. On 12 March 1752 Gaultier married Madeleine-Marie-Anne (1707–76), the oldest daughter of Pierre-Thomas Tarieu de La Pérade and Marie-Madeleine Jarret de Verchères. She was the widow of Richard Testu de La Richardière and of Nicolas-Antoine Coulon de Villiers. Gaultier declared that he was delighted with his new existence and confided to his correspondent Guettard: “I have finally settled in Canada. . . . I have married a lady of rank. I have reason to be satisfied in every way; my wife has much wit, a fine education, and great ability for running and organizing a house, and she can expect wealth after the death of her father, who is 78. I have just had a house built in Quebec which is large and very liveable. I shall probably not leave it for a good while.” The father-in-law would outlive his son-in-law by a year. His official salary and his income from the fur trade brought Gaultier more money than he needed, to the amount of several thousand livres a year, which he tried to dispose of in France by buying properties. In 1756 he sent his agent Larsher four bills of exchange amounting to 3,880 livres and asked him to buy some property for him in Normandy. But the agent declined to take the responsibility and insisted that Gaultier come to examine personally any property to be acquired. Gaultier’s death prevented him from answering this letter. Gaultier was first hospitalized at the Hôtel-Dieu in May 1743, then again in July 1756. The Léopard, one of the ships in the squadron which brought Montcalm to Canada, also brought typhus. Nearly 1,000 people were stricken by the malady, and in June 1756 some 300 were hospitalized at the same time. Several nuns hospitallers paid for their devotion with their lives. The same was true of Gaultier, who died on 10 July after being ill for nine days. He was not replaced, for the first person designated to succeed him, the Sieur Chomel, died before coming to Canada; the second one, the Sieur Lebeau, does not seem to have come to Canada, probably because of the war. Gaultier had agreed to pay the cost of the education of one of his nephews who was studying in Paris. Gaultier’s widow instructed Larsher to use the balance of the amounts in his hands to continue the education of the nephew, to whom she sent her husband’s medical books. She retired to live in the Ursuline convent in 1774 and died there on 6 Jan. 1776, at 68 years of age. If Gaultier is fairly well known by the general public, he owes his fame above all to William Kirby*, who made him one of the minor personages in The Golden Dog, a novel about society in Bigot’s period [see Nicolas Jacquin, dit Philibert]. Kirby depicted Gaultier as a rich, generous, learned, and likeable physician and bachelor who was at the same time a highly esteemed conversationalist. This portrait seems to fit the personage. Later in the book Gaultier is presented as an astrologer, which seems less sure. 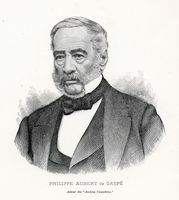 Philippe-Joseph Aubert* de Gaspé relates in his Mémoires (1866) how a certain Gaultier, an officer on the Capricieuse, having learned that in earlier times a king’s physician by the name of Gaultier had married a Lanaudière, arrived at the home of one of Aubert de Gaspé’s aunts, also a Lanaudière, calling her his aunt. His claim was not taken seriously since Gaultier had died without issue. The so-called nephew was reprimanded by the aunt. Gaultier left the memory of a man who was faithful to his duty and who had a pleasant personality. He was a person of varied talents, who continued Michel Sarrazin’s work, studying various fields at once and contributing to several new ones. He left no posterity in this privileged realm of genealogy, and he would be almost forgotten today were it not for the genus of plant that perpetuates his name and for Kirby’s novel. The physician. Since the archives of the Hôtel-Dieu of Quebec were destroyed in a fire in 1755, we know little about Gaultier’s medical practice, but his meteorological reports published for the period 1742–49 contain a monthly medical bulletin on the state of health in the colony: the most frequent illnesses in each month, their severity, the most commonly used remedies, the results obtained, and the months (for example May 1744) when few people were ill, or even none (as in September 1744). Indirectly through these reports we discover the remedies he used: tea, infusions of corn poppy, couch-grass, liquorice, etc. ; blood lettings, purgatives, tartar emetic, senna-tea, emulsions, blisters, etc. We also discover his medical theories: like Hippocrates and contrary to Thomas Sydenham, he thought that the great differences of temperature in winter could well cause colds, chest illnesses, and malignant fevers. His mineralogical reports also give us information about the medical use of certain mineral waters, including the sulphur water at Baie-Saint-Paul and Les Éboulements. Gaultier does not seem to have been inclined towards the clinical and pathological study of maladies, but he noted much about popular medicine among the Canadians and Indians. He tested certain of these practices and no doubt contributed to popularizing some of them and advising against others. Such medical ethnobotany is recorded particularly in an unpublished manuscript to which attention was drawn by Jacques Rousseau* (1905–70) and which was acquired by the Archives Nationales du Québec in 1951. This important manuscript has not been studied systematically, and it is not yet possible to pick out in it all of Gaultier’s original contributions. We know that he encouraged the use of wintergreen tea (Gaultheria). Jacques Rousseau also pointed out that Gaultier had tested the antiscorbutic properties of the spruce and had recommended the use of spruce beer to cure scurvy. Gérard Filteau credits him also with a treatment for bronchitis. The meteorologist. In November 1742, at Duhamel’s request, Gaultier set up at Quebec the first meteorological station in Canada, and he kept a daily meteorological log, which remained unknown to meteorologists for two centuries. 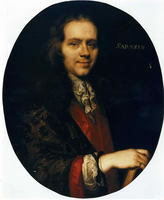 A contemporary of Gaultier, the Sulpician Jean-Marie Castagnac de Pontarion (1723–77), also kept a meteorological log in Montreal in 1749. A second permanent station was not set up in Quebec until 1870. Gaultier’s meteorological log goes from 1742 to 1756. Duhamel had part of the monthly tables for the period 1742–49 published in the Mémoires of the Académie Royale des Sciences, with a rather brief summary of his comments. These reports constitute the first attempt at quantification in Canadian meteorology. They are obviously modelled on Duhamel’s, but with less detail and less care in the findings. The tables comprise five columns: the temperature between seven and eight o’clock in the morning and three and four in the afternoon, the state of the sky, precipitation, and wind direction, all accompanied by comments on derived or dependent phenomena. Gaultier even noted incidentally an earthquake at Quebec on 16–17 May 1744. Meteorology in the 18th century lacked standardization; it was often marred by errors in methodology and limited by its equipment. A critical study of Gaultier’s 15 years of meteorology has still to be made; conversion of his figures into Fahrenheit or centigrade might perhaps open up another century of perspective on meteorology in Canada. The manuscript log has come down to us, at least in part, if not perhaps completely. In the record for 1754 we learn that Gaultier had just received from Réaumur a new thermometer which was capable of registering the lowest winter temperatures in Canada; he described the spot where the thermometer had been placed and explained the reasons for the choice of that spot. The astronomer. Few astronomical observations by Gaultier are known: displays of northern lights, a comet in 1745. He was sent instruments, including a timing pendulum in 1745 and a telescope which he had to share with the Jesuit Joseph-Pierre de Bonnecamps*. A proposal to build an observatory was turned down. Observations which had to be made at some distance from Quebec, such as the eclipse in 1745, were entrusted to others. The botanist. Because of his own inclination or circumstances, and perhaps primarily because of La Galissonière’s support, it was botany which, after meteorology, absorbed most of Gaultier’s intellectual effort. This concentration, moreover, was what seems to have been expected of him, and what maintained continuity with Sarrazin’s work. Popular medicine, botanical pharmacopoeia, and the use of woods caught his attention. He contributed to popularizing several products – vegetable, pharmaceutical, and other – among them the maidenhair fern and wintergreen tea. He took an interest in compiling a Canadian botanical vocabulary and prepared several memoirs, of which those on maple sugar and the making of pitch and resin were published. Three ships, the Castor, Caribou, and Saint-Laurent, the last one partly of red pine, were built at Quebec on an experimental basis to try out Canadian woods. Long before Gaultier, Louis Hébert* and Jacques-Philippe Cornuti (1606–51) had begun listing the flora of Canada. Sarrazin made a major contribution to this effort, part of which was recorded in Tournefort’s Institutiones rei herbariae. But only a small beginning had nevertheless been made. Spurred on by Duhamel and backed up by La Galissonière, Gaultier set himself to this task, studying in particular the ligneous plants, which his predecessors had somewhat neglected. He prepared for Duhamel’s use a manuscript of about 400 pages, discovered by Rousseau in 1951, on the plants of Canada. This text, not yet critically studied, is after the manner of Vaillant; it does not repeat Sarrazin’s texts but deals primarily with additional species. There is no documentation for this text or for the reasons a copy of it was sent to Duhamel in 1749. Duhamel made copious use of it in preparing his Traité des arbres et arbustes and made known several of the new species described by Gaultier. This manuscript was perhaps prepared to be part of the project for an illustrated work in six volumes on the flora of northern America, a project we know of only through an estimate of the costs drawn up around 1754. Duhamel, who was the author of manuals and treatises on some 30 subjects, and probably Bernard de Jussieu too, may have been the originators of this project. It was not followed up, probably because of the war. In a memoir on pines Gaultier was already making a distinction between the four species of pines in eastern Canada. Duhamel accepted his classification. But Linnaeus knew nothing of it and in 1753 named only one Canadian species in the Species Plantarum. Another half-century had to go by before the four species were recognized in binary nomenclature. If it had been published in its time, in the works of the Académie Royale des Sciences, Gaultier’s memoir would have advanced science to that extent. But the academicians disposed of their correspondents’ texts as they pleased. Gaultier did not complain. Every year he sent Duhamel seeds, bulbs, and slips for the Jardin du Roi and the experimental nursery at the Château de Denainvilliers. The garden of the intendant’s palace in Quebec served as a transit nursery. Gaultier also seems to have kept there a permanent collection of Canadian plants, the embryo of a botanical garden. It is not known whether he also sent herbarium specimens. He had already noted the presence of some weeds: in 1743 the Fagopirum sylvestre (Polygonum Convolvulus L.) and the Bidens tagetes folio & facie) had to a great extent squeezed out the wheat in the land sown with wheat; in 1744 he noted that couch-grass (Agropyron repens) was overrunning nearly all the lands. His opinion on vernacular botanical nomenclature is close to ours: “I shall keep the everyday names, Canadian or Indian, which have been given to each of these trees, convinced as I am that this nomenclature has reasonable bases and can be of great service in recognizing the trees and plants that are described.” He systematically made a distinction between the vocabulary of the French and that of the Canadians. Thus he wrote under Carpinus: “in French Charme, and in Canadian Bois dur.” Again, under Citrullus iroqueorum: “in French and in Canadian Citrouille iroquoise.” The term “Canadian” to designate the particular form of French spoken in Canada came naturally to his mind, and it had already been used by Sarrazin. But the term did not take root, and the Canadians refused for a long time still to recognize that their language had sufficient originality to deserve a distinctive epithet. The mineralogist. One of the regulations of the Académie Royale des Sciences stipulated that a member outside Paris would correspond only with his sponsor. But Gaultier corresponded regularly with Guettard and Réaumur. The administration of the colony was concerned with mineral resources. The mines at Baie-Saint-Paul had already been visited by Hocquart* in 1740; in 1749 the official naturalist, accompanied by Kalm, was sent there to do prospecting. The official report described particularly the outcrops at Rivière du Moulin and the sulphur springs, and also the springs and geological formations at Les Éboulements, Cap aux Oies, and Petite-Rivière. Guettard was in the process of elaborating a general theory about the distribution of minerals and the structures of the continents. He had already applied his theory in studies on Egypt, France, and Switzerland. Thanks to Gaultier’s shipments in 1752, he extended his theory to North America, and in 1756 he published the first geological and mineralogical map of Canada. Along with it were sketches of some fossils. The shipment of samples of minerals to Guettard was perhaps made annually; four at least are known, and often the list of the specimens has also survived: gypsum, talc, copper, ferruginous sands, steatite, slate, limestone, etc., and even some fossils. Gaultier has been credited with “excellent work in entomology,” but we do not know what justifies this compliment; the author has found only the description of some invasions by caterpillars, the techniques used to check them, and a shipment of caterpillars. Details are to be found in the meteorological reports. The shipping of specimens in 1753 had a sad story, and Réaumur expressed his disappointment. If the collection was limited in size, replied Gaultier, it was because the local correspondents had not sent the promised samples: if the specimens were damaged, it was because the person responsible for packaging them had done his work badly; if the specimens did not bear labels, it was because the same person responsible had left them on his work bench. A fine example of trying to find justification! On the other hand, most of the other shipments were satisfactory and were greatly appreciated. The man of science. Gaultier’s training was not especially scientific, but rather that of a physician of the period. He seems, however, to have prepared himself for the task expected of him; he associated with the Jussieus and Duhamel. Yet his career as a scientist was due more to the accident of the circumstances of his employment than to an insatiable intellectual curiosity. Gaultier quite naturally continued Sarrazin’s work and opened up several fields of research new for the colony. Duhamel had about 115 pages of Gaultier’s works published. Kalm and modern authors added another 35 pages of texts which remained of historical interest. Other unpublished works by Gaultier deserve to be published, as Rousseau had planned. His total scientific production seems to have amounted to around 1,500 manuscript pages, about half of which dated from the period of La Galissonière’s term as governor and about a tenth of which has been published. His scientific contribution is primarily an indirect one, made through Duhamel, Kalm, and Guettard. Gaultier has been called a modest scientist, which is true of his character, but his contribution was not modest. He carried out the tasks expected of him; he did not aim at a great work of his own. He sometimes apologized for the fact that certain shipments or works were not as carefully done as could have been desired, but he never complained that his memoirs and manuscripts, numerous and bulky, remained unpublished. He did not attach great importance to his works, he did not boast of his contribution. He was conscious only of doing his duty as a physician and a naturalist to the best of his ability. Compared to that of the modern scientist, Gaultier’s published work is varied and its quantity places him in the upper ten per cent. Gaultier has been compared to Sarrazin, and yet the two men were hardly similar. Sarrazin’s motivation came from within him; he chose the subjects of his study, complained of his inadequate equipment, and indulged in recriminations if his reports were not published rapidly. Gaultier resembles rather the average modern scientist, who is capable of an enormous effort in favourable circumstances, such as during La Galissonière’s governorship, but who can become almost ineffective if support and stimulus are lacking, as was the case under Bigot, who was preoccupied with personal aggrandizement. Gaultier’s influence on his contemporaries was considerable. He prepared the memoir distributed by the governor to the commandants of the forts asking them to contribute to the cataloguing of natural resources, and he maintained contact with those who actually did, spreading and encouraging interest in science throughout the colony. His shipments to the members of the academy contributed in a way that was often indispensable to their works, such as Guettard’s zoological and mineralogical study on North America. Réaumur’s development of a thermometer with a longer scale was probably motivated by the need for an instrument better adapted to Canada. Gaultier’s contribution to Kalm’s work deserves special mention. The end of a scientific movement. When the smallness of its population is taken into account, the colony’s scientific effort was considerable. It was first directed to geographical exploration, then to the cataloguing of languages and ethnography, and very early to the surveying of natural resources. This survey was at first a series of isolated or intermittent efforts by travellers or amateurs such as Louis Hébert. But with Sarrazin this effort was institutionalized, and with Gaultier continuity was established. Collections accumulated: Sarrazin’s herbarium seems to have contained some 800 specimens; the garden of the intendant’s palace maintained a collection of living plants: scientific libraries were formed – Sarrazin’s contained 175 volumes. There were others in Gaultier’s home, in the intendant’s palace, in the Jesuit seminary, etc. A network of local correspondents was set up; regular correspondence was carried on with the Académie Royale des Sciences and a series of works was published in its Mémoires. Canadian plants were introduced into the gardens of Europe, amateurs were encouraged to contribute their share, new species were described, drugs were experimented with and evaluated. With the Seven Years’ War and Gaultier’s death in 1756, all disappeared; publication ceased in 1756 and many manuscripts remained unpublished. The collections disappeared, and the libraries were scattered. Thus ended a scientific movement which had become considerable in the 18th century, reaching its culmination with Sarrazin and Gaultier. In many disciplines a century was to go by before there was a rebirth of indigenous activity. And the interruption was so long that the new naturalists had generally forgotten the work of their predecessors and had to start again from the beginning. Several works by Gaultier have been published, including “Histoire du sucre d’érable” in Mémoires de mathématique et de physique présentés à l’Académie royale des sciences, par divers sçavans, & lûs dans les assemblées (11v., Paris, 1750–86), II, 378–92, and “Maniere de retirer le suc résineux du pin, et d’en faire le brai-sec et la résine jaune suivant les pratiques qu’on suit au Canada,” published by Duhamel in his Traité des arbres et arbustes qui se cultivent en France en pleine terre (2v., Paris, 1755). In addition, Gaultier’s “Observations botanico-météorologiques faites à Québec . . . ,” which was presented before the academy by Duhamel, is published in the Histoire de l’Académie royale des sciences . . . avec les mémoires de mathémathique & de physique . . . for 1744 (1748), 135–55; 1746 (1751), 88–97; 1747 (1752), 466–88; 1750 (1754), 309ff. ; and Guettard’s “Mémoire dans lequel on compare le Canada à la Suisse, par rapport à ses minéraux,” based on Gaultier’s work, appears in the issue for 1752 (1756), 189–220, 323–60, 524–38. Finally, Pehr Kalm, in En Resa til Norra America (3v., Stockholm, 1753–61), III, 458–61, reproduces a text by Gaultier. The American Philosophical Society Library (Philadelphia) holds about 750 pages of notes and memoirs by Gaultier (B, D87, 20, 21, 24, 25). The Archives de l’Académie des Sciences (Paris) has five letters written by him to Réaumur; these have been published in RSCT, 3rd ser., XXIV (1930), sect.i, 31–43. The ANQ (AP, Jean-François Gaultier) holds two of Gaultier’s manuscripts, bound with a manuscript by Sarrazin entitled “Histoire des plantes de Canada”; there is also a copy of these two manuscripts entitled “Description de plusieurs plantes du Canada.” The Archives du séminaire de Saint-Hyacinthe has a manuscript by Sarrazin, “Histoire des plantes de Canada,” annotated by Gaultier. The BN, NAF 22253, preserves three letters of Gaultier, deposited in Bigot’s dossier, of which copies are held in PAC, MG 7, IA, 3. The Harvard College Library, MS Can 57, M-13, has seven memoirs and manuscripts by Gaultier, as well as three letters addressed to Duhamel. Finally, in the archives of the Muséum d’Histoire naturelle (Paris), vol.293, there are letters and memoirs of Gaultier, addressed to Guettard; copies are kept in PAC, MG 7, V.
AHDQ, Notes sur messieurs les médecins et chirurgiens, 42. AN, Col., B, 74, f.49; 76, ff.24, 36v; 78, ff.25, 39, 63v; 81, ff.23, 60; 89, ff.25, 41; 91, ff.40, 44, 45; 97, f.29; 105, f.8 (copies at PAC). ANDQ, Registres des baptêmes, manages et sépultures, 11 juill. 1756. 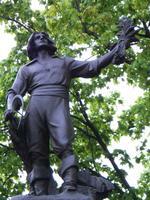 ANQ, Greffe de C.-H. Du Laurent, 4 oct. 1743, 2 mars 1752; NF, Ord. int., 12 juin 1750. Bibliothèque de l’Observatoire de Pans, A.A.7.6, “Observations botanico-météorologiques faites au Canada, par Gaultier de 1742 à 1748.” Bibliothèque de l’université de Montréal, Collection Baby, Correspondance, pp.1385–87, 1440–41, 1454–59 (copies at PAC). Ahern, Notes pour l’histoire de la médecine. Frégault, François Bigot. William Kirby, The Golden Dog (Rouses Point, N.Y., 1877). Roland Lamontagne, La Galissonière et le Canada (Montréal, Paris, 1962). Arthur Vallée, Un biologiste canadien: Michel Sarrazin, 1659–1735, sa vie, ses travaux et son temps (Québec, 1927), 66–72. Jacques Rousseau, “Anneda et l’arbre de vie,” RHAF, VIII (1954–55), 171–212; “Le mémoire de La Galissonière aux naturalistes canadiens de 1749,” Le naturaliste canadien (Québec), 93 (1966), 669–81; “Michel Sarrazin, Jean-François Gaultier et l’étude prélinnéenne de la flore canadienne,” Colloque international du C.N.R.S. (Paris), LXIII (1957), 149–57. Bernard Boivin, “GAULTIER, JEAN-FRANÇOIS,” in Dictionary of Canadian Biography, vol. 3, University of Toronto/Université Laval, 2003–, accessed April 26, 2019, http://www.biographi.ca/en/bio/gaultier_jean_francois_3E.html.